Mariana Graham used to make art for decoration focused mods for the game Minecraft as a student of industrial design originally planning to work for IKEA or make stuff in the real world, but her work attracted the attention of Minecraft maker Mojang and indie developer Plukit. Today she creates officially partnered content for Minecraft and is an artist on Plukit’s farming and building game Staxel. Hear her story, how her background in industrial design is valuable to her career now, get advice on coming into the industry as an outsider, and hear the experience of a woman in games (the last half of the episode is real talk, you should really listen!). Theme music made by Fred Buchanan. Hollie Buckets works for Unity (the company that makes the world’s most popular games engine) as a Developer Advocate and has a husband and kids. Find out how she switched careers from marine biology to games, got involved with Unity (which is now used not only for games but in industries like film, art, and museums) and incorporates feedback from indie game developers into the engine, and how she balances her work and family life. Links and Show Notes:Follow Hollie on TwitterVisit her blogCheck out Kinifi GamesDreaming Polygons Social Links:Follow on TwitterListen as a PodcastSubscribe on Apple PodcastsSubscribe on Google PlaySubscribe on OvercastSubscribe on Pocket CastsSubscribe on YouTubeTheme music made by Fred Buchanan. Besides having an awesome name, Yifat Shaik works as a professor of Game Design at York University in Toronto and has made a variety of interactive experiences which redefine what people traditionally think of as games. She based the silly Real Army Simulator off her mandatory service in the Israeli army as a satire game, made a game in Excel called The Worksheet Saga, and more. We also discuss the games industry age barrier, issues with crunch and the debate over the cost of games, and what design trends the industry is heading towards.Links and Show Notes:Follow Yifat on TwitterCheck out her websiteCheck out The Really Serious Game CompanyDreaming Polygons Social Links:Follow on TwitterListen as a PodcastSubscribe on Apple PodcastsSubscribe on Google PlaySubscribe on OvercastSubscribe on Pocket CastsSubscribe on YouTubeTheme music made by Fred Buchanan. Wyld streamed games on Twitch far before he realized it could become a full-time career. Now as a verified Twitch partner with over 200,000 followers Wyld talks to Max about how he got into streaming games professionally and the good and bad effects of streaming on the larger gaming culture. Also discussed is the specific abuse and toxicity that can come from certain broadcasters and parts of the audience and possible ways to stop it.Links and Show Notes:Watch Wyld on TwitchFollow Wyld on TwitterFollow Wyld on InstagramDreaming Polygons Social Links:Follow on TwitterListen as a PodcastSubscribe on Apple PodcastsSubscribe on Google PlaySubscribe on OvercastSubscribe on Pocket CastsSubscribe on YouTubeTheme music made by Fred Buchanan. Alyx Jones overcame difficult childhood experiences to become a composer for games like Elise: Unpainted Memories. Max interviews her to discuss the role of music in games, how it interacts with storytelling, and where it is going in the future. Also discussed is Alyx’s autobiographical game and her efforts to tell her early life story in an interactive medium.Links and Show Notes:Follow Alyx on TwitterLike Alyx’s Page on FacebookCheck out her websiteDreaming Polygons Social Links:Follow on TwitterListen as a PodcastSubscribe on Apple PodcastsSubscribe on Google PlaySubscribe on OvercastSubscribe on Pocket CastsSubscribe on YouTubeTheme music made by Fred Buchanan. Mariana Graham used to make art for decoration focused mods for the game Minecraft as a student of industrial design originally planning to work for IKEA or make stuff in the real world, but her work attracted the attention of Minecraft maker Mojang and indie developer Plukit. Today she creates officially partnered content for Minecraft and is an artist on Plukit’s farming and building game Staxel. Hear her story, how her background in industrial design is valuable to her career now, get advice on coming into the industry as an outsider, and hear the experience of a woman in games (the last half of the episode is real talk, you should really listen! ).Links and Show Notes:Follow Mariana on TwitterCheck out her websiteGet StaxelDreaming Polygons Social Links:Follow on TwitterListen as a PodcastSubscribe on Apple PodcastsSubscribe on Google PlaySubscribe on OvercastSubscribe on Pocket CastsSubscribe on YouTubeTheme music made by Fred Buchanan. Max interviews Mike Mariano of Disney to discuss his work as a UI/UX lead on their mobile Star Wars projects. Find out what exactly a UI designer is and what that means for games, hear a new perspective on the value and risks of free to play and monetization models, and what it's like for someone to work on one of the biggest franchises in the world with Star Wars. Also, a little bit of talk about Nintendo and their new Labo project!Links and Show Notes:Follow Mike on TwitterCheck out his websiteNintendo LaboDreaming Polygons Social Links:Follow on TwitterListen as a PodcastSubscribe on Apple PodcastsSubscribe on Google PlaySubscribe on OvercastSubscribe on Pocket CastsSubscribe on YouTubeTheme music made by Fred Buchanan. Max gets a perspective on what it's like to be an indie developer on the Nintendo Switch by interviewing lead programmer Dave Lloyd of Powerhoof, the developers of the local multiplayer dungeon crawler aptly titled "Crawl". Find out how hard it was to port, deal with the eShop, and what the Switch as a platform meant for the success of their game. Also discussed is the relationship the Switch as a console has to other video game systems and mobile gaming on iOS and Android.Links and Show Notes:Follow Powerhoof on TwitterFollow Dave Lloyd on TwitterGet Crawl the gameDreaming Polygons Social Links:Follow on TwitterListen as a PodcastSubscribe on Apple PodcastsSubscribe on Google PlaySubscribe on OvercastSubscribe on Pocket CastsSubscribe on YouTubeTheme music made by Fred Buchanan. 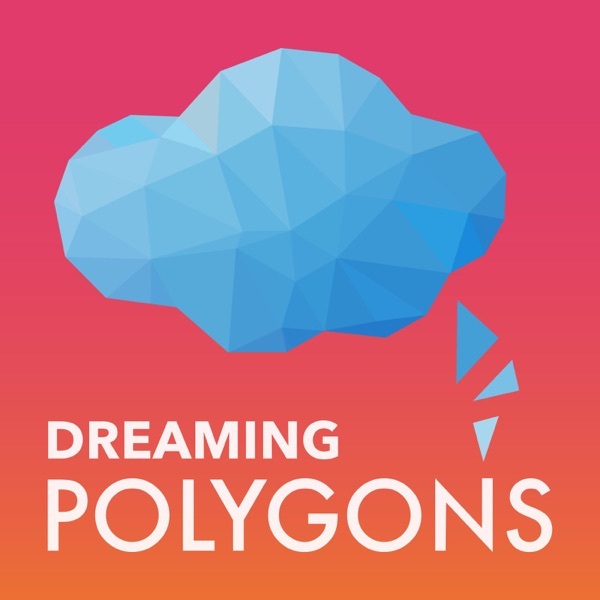 For the debut episode of Dreaming Polygons, Max interviews James and Jon from game server company Nodecraft to discuss how they made a business of selling multiplayer experiences to the average consumer, the launch of NodePanel v2 which will allow them to support more games and an entirely new business model, and the future of multiplayer and gaming in the cloud.Links and Show Notes:Follow Nodecraft on TwitterGo to Nodecraft's siteDreaming Polygons Social Links:Follow on TwitterListen as a PodcastSubscribe on Apple PodcastsSubscribe on Google PlaySubscribe on OvercastSubscribe on Pocket CastsSubscribe on YouTubeAdditional Note:In the interest of full disclosure Max Patten has been an affiliate of Nodecraft who has received game servers by sharing their link on his YouTube channel. There is no money involved and this episode is not intended as an advertisement or endorsement of Nodecraft's products or services, so please take that into account. Thank you.Theme music made by Fred Buchanan.